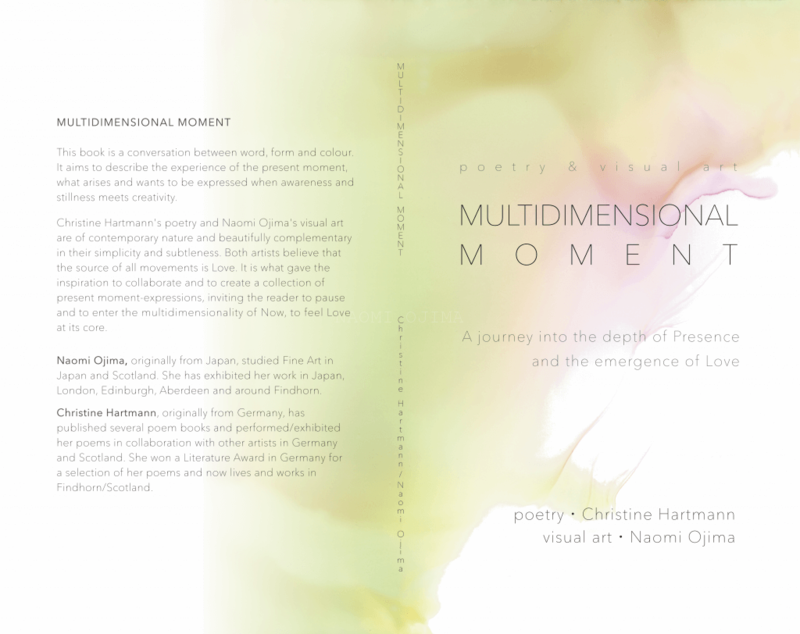 Collaboration work by Christine Hartmann (Poetry) & Naomi Ojima (Artwork) ‘MULTIDIMENSIONAL MOMENT’ Exhibition is still on until 29/10 in Bakehouse cafe in Findhorn. Now the book is available online. Click here. I am happy to announce our second exhibition ‘NY – contemplating what is’ for everyone who wants to see our artwork again and for those who weren’t able to see it the first time. 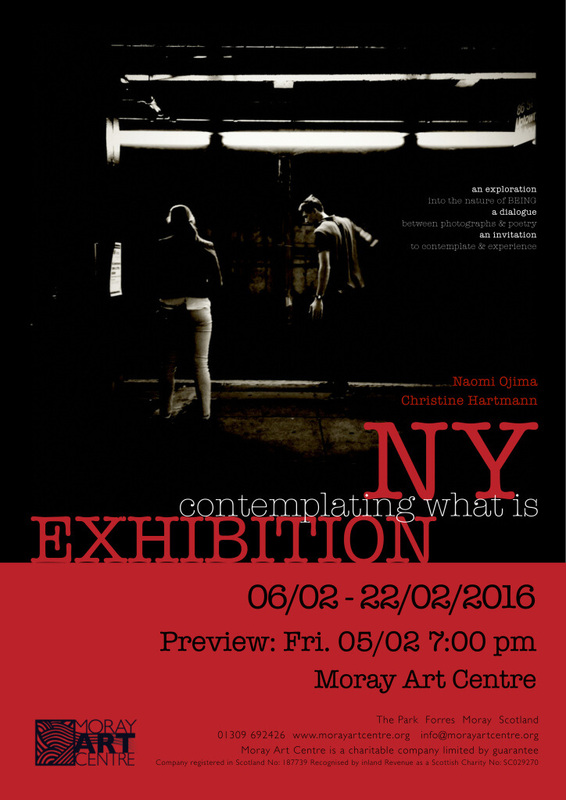 You and your friends are cordially invited to our preview evening this Friday, 5th February, 7pm, at Moray Art Centre in Findhorn.